Eugene Ionesco. Ionesco, Eugene, photograph. The Library of Congress. Eugene Ionesco was one of the founders of a style of drama called the Theater of the Absurd. He revolutionized drama with his radical new perspective on language, demonstrating its subversion, ordinariness, and humorous explosiveness, as well as its domineering power. His works feature nightmarish scenes with sometimes tragic, sometimes ludicrous characters whose surrealistic and grotesque attempts to deal with the absurdity of life fail. His plays have been translated into most European languages, as well as Chinese, Japanese, and Hebrew, and have been performed all over the world. Growing Up Amidst Familial Instability. Eugene Ionesco was born Eugen Ionescu in Slatina, Romania, on November 13, 1909. He was the second of Eugen and Marie-Therese Ionescu’s three children. His father, a lawyer, moved his family to France in 1910 to complete his law degree in Paris, but he returned to Romania in 1916 to fight in World War I. Initially, when the war first broke out in 1914, Romania had declared neutrality. However, in 1916, under pressure from France and other Allied countries, Romania declared war on Austria-Hungary. The elder Ionescu left his wife in Paris to care for their children, eventually divorcing her. When Ionesco was thirteen, his mother, unable to provide for her children, returned to Romania and transferred them to their father’s custody. Provoking Controversy. From 1929 to 1933, Ionesco attended the University of Bucharest, where he completed a degree in French language and literature. During these years, he became famous for his public literary debates with his professor of aesthetics, Mihail Dragomirescu. Ionesco’s first publication was a volume of poetry, Elegiipentrufiinte mici (Elegies for Minuscule Creatures), published in Romania in 1931. Ionesco’s first volume of essays, Nu (No; translated into French as Non, 1986), was published in 1934 and sparked debate in Romanian literary circles. Ionesco attacked revered Romanian writers of the time—most prominent among them the novelist Camil Petrescu and the poets Tudor Arghezi and Ion Barbu. Marriage, Emigration, and Diplomacy. After graduating from the University of Bucharest, Ionesco worked as a high school teacher in the Romanian provinces and in Bucharest. In 1936, he married Rodica Burileanu, a philosophy student. In 1938, Ionesco moved to Paris to work on his dissertation, which he never finished. He and his wife returned to Romania in 1940, but he clung to the hope of leaving the country. In 1941, Romania entered World War II as part of the Axis powers, allied with Germany, Italy, and Japan. When offered a diplomatic appointment in 1942, Ionesco accepted and relocated with his wife to France, never returning to Romania. He arrived in German-occupied France as a representative of the pro-Nazi Romanian government. In 1944, Ionesco’s wife Rodica gave birth to their only child, Marie-France. Introducing the Theater of the Absurd. In 1949 Ionesco translated into French a play he had originally written in Romanian, Englezeste fara profesor (English without a Professor). A friend, Monica Lovinescu, introduced him to Nicolas Bataille, a young director, who produced the play in Paris in 1950 under the title La Cantatrice chauve (The Bald Soprano). The play failed miserably at its premiere, although it was enthusiastically received by prominent surrealists such as Andre Breton and Philippe Soupault. La Cantatrice chauve is an attack on bourgeois conformism and a reflection on the impossibility of communication. It remains a superb example of the Theater of the Absurd. Absurd Multiplicity. The problematic nature of language and communication is a dominant theme in Ionesco’s early works, including his first two plays, La Cantatrice chauve (1950; The Bald Soprano) and La Legon (1951; The Lesson). As his career progressed, Ionesco began to use multiplying objects as a metaphor for the absurdity of life. In one of his most acclaimed works, Les Chaises (1952; The Chairs), an elderly couple serves as hosts for an audience who assemble to hear a speaker deliver a message that will save the world. As the couple arranges seating for their guests, the stage becomes crowded with chairs. This image is symbolic of the irrational, foolish, or nonsensical. The Berenger Plays. Beginning in the late 1950s, Ionesco wrote a number of plays that center on Berenger, a modern-day Everyman. The best known of these works is Rhinoceros (1959), which is considered one of Ionesco’s most accessible plays. During the course of the play everyone except Berenger is transformed into a rhinoceros. While the inspiration for this work came from Ionesco’s reaction to a friend who joined the Nazi Party, the play’s significance extends beyond the confines of any single ideology to denounce mindless conformity and mob mentality. Other Berenger plays include Tueur sans gages (1958; The Killer), in which Berenger searches for a nameless killer to whom he falls prey, and Le Roi se meurt (1962; Exit the King), in which Berenger is a king who is told he will soon die. Death and the Fantastic. The subject of death becomes an overriding concern in many of Ionesco’s later plays; for example, in La Soifet lafaim (1964; Hunger and Thirst). The dreamlike images that pervade Ionesco’s drama also become more prominent in his later works. In L’Homme aux valises (1975; The Man with the Suitcases) and Voyages chez les morts (1980; Journeys among the Dead), the protagonists engage in conversations with the dead. The episodic nature of these plays, coupled with their fantastic elements, creates the impression of a dream. Best known as a dramatist, Ionesco has also written a novel, Le Solitaire (1972; The Hermit), and several volumes of essays and criticism. These works, like his drama, are marked by a sense of anguish and a vehement opposition to totalitarianism and oppression. Ionesco actively participated in conferences in support of human rights, wrote harsh indictments against the Romanian government as well as against other totalitarian regimes, and helped dissidents of such countries. Ionesco signed many petitions for freedom of speech and wrote articles against anti-Semitism and in support of the right to existence of the state of Israel. His ties to Romania became stronger after the 1989 revolution that brought down Nicolae Ceausescu’s dictatorship, at which time he acknowledged in interviews that he felt Romanian again. In the last decade of his life, he gave up writing and devoted himself to painting and exhibiting his works. He died in Paris on March 28, 1994. Nicolae Ceausescu (1918-1989): Leader of Romania from 1965 to 1989 who was widely considered a dictator. He was executed, along with his wife, after the revolution overthrew him. Mikhail Gorbachev (1931-): The last Communist leader of the Soviet Union, who helped end the Cold War between the Soviet Union and the United States. He was removed from office in a coup. Kim Philby (1912-1988): British intelligence officer who was secretly a Communist and a spy for the Soviet Union. Classified information Philby passed along may have led to the deaths of many British and American intelligence agents. Odette Sansom (1912-1995): French civilian who worked for the underground resistance movement during World War II. Captured and tortured by the Nazis, she refused to confess and was sent to a concentration camp, which she survived. Tristan Tzara (1896-1963): Romanian playwright, artist, and poet. Cofounder of the Dada movement, Tzara rejected common standards of art and influenced the surrealist movement. The Caretaker (1959), a play by Harold Pinter. In this work, held together without any solid structure and filled with random dialogue and surrealism, a manipulative tramp disturbs the relationship between two brothers in this three-character play. The Maids (1947), a play by Jean Genet. In this work, loosely based on a true story, two sisters play fantasy roles of mistress and maid and attempt to kill their real mistress. Six Characters in Search of an Author (1921), a play by Luigi Pirandello. In this play, a group of actors are about to rehearse when six strangers walk in, explaining that they are unfinished fictional characters. Waiting for Godot (1952), a play by Samuel Beckett. In this work, two characters wait in vain for a third, Godot, who never arrives. With Samuel Beckett, Arthur Adamov, and Jean Genet, Eugene Ionesco is widely recognized as a defining playwright of the Theater of the Absurd. Ionesco’s originality largely consisted of his revolutionary rediscovery of language, which was influenced by his own rediscovery of language during his attempts to learn the English language. While studying, Ionesco came to view modern perspectives on language as absurd, and his ridicule of this ‘‘language worship’’ would later become a common theme in his works. It is notable that one of Ionesco’s favorite authors was William Shakespeare, whom he considered to have been a precursor of the Theater of the Absurd. Thematic Evolution. Ionesco’s theater evolved during his career. His first plays focus more on language as a means of non-communication, as an expression of automatism and banality, and as a barrier to knowledge of the self and of others. Later, Ionesco became interested in the psychoanalytical aspect of memory and in revealing characters’ inner worlds on stage, especially their deep anxieties and obsessions with death. His allusions to politics in the early plays turn into political statements in the later plays. Then, at the very end of his career, Ionesco’s plays became highly autobiographical and oneiric. Ridicule of Language Worship and Conformity. Ionesco was appalled by the hateful and violent anti-Semitic outbursts he had witnessed in Romania. He also was disturbed and mystified by the large number of intellectuals who fell prey to fascist ideologies and mass hysteria. 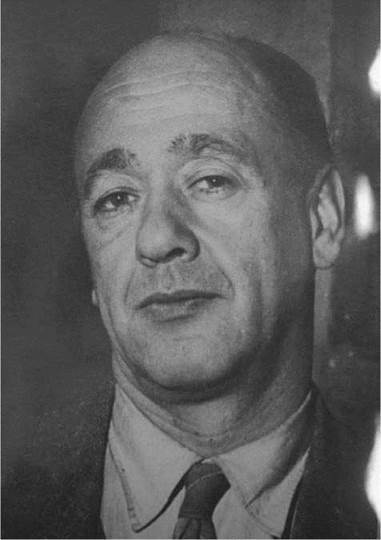 Rhinoceeros, his most successful play was inspired in part by the mass hysteria described by Denis de Rougement in his report on a Nazi rally he attended in 1938 in Nuremberg. In his play, Ionesco seeks to represent the process by which human individuals are drawn into collectivities, appearing to undergo transformations so substantial as to strip them of their humanity. The deafening roar of the rhinoceroses in the play represents the overwhelming clamor characteristic of rallies such as the one in Nuremberg. The comical parallel dialogues in the first scene underline the power of rhetoric more than the power of logic. Ultimately, however, Berenger—the protagonist, an ordinary man—refuses to conform, suggesting the possibility of individual choice despite social pressure. The features of his drama directly and indirectly influenced contemporaries such as French playwright Jean Tardieu and Lebanese playwright Georges Schehade, as well as many of the innovative playwrights that emerged in his wake, including Spanish playwright Fernando Arrabal, French playwrights Rene de Obaldia and Rolland Dubillard, English playwright Harold Pinter, and American playwright Sam Shepard. Faulted as obscure by many critics at the beginning of his career, Ionesco’s innovative drama has gained international acclaim, and a number of his works are now considered founding pieces of the Theater of the Absurd. His numerous accolades speak to the nature of this acclaim. Internationally, Ionesco was the recipient of many prestigious awards, including the Jerusalem Prize (1973), the Max Rheinhard Medal (1976), Germany’s Order of Merit (1982), the University of Chicago’s T. S. Eliot-Ingersoll Prize (1985), the Medal of the City of Paris (1987), and the Moliere Prize (1989). In 1970 he was elected to the Academie franyaise; he received the great Austrian Award for European Literature, and he was presented an honorary doctorate by the University of Tel-Aviv. In 1991 he became the first author whose work was published in the prestigious Editions Pleiade while still alive. 1. Discuss the way language is portrayed in the Theater of the Absurd. Do you find that language is inherently ‘‘problematic’’? Explain your views citing specific examples from one of Ionesco’s plays. 2. In Rhinoceros, Ionesco explores the theme of how conformity can be dangerous. Drawing from the play, discuss your views about conforming. Do you think conforming can be a good thing? Is there such a thing as being too individualistic? 3. Using your library’s resources and the Internet, research the beliefs behind the Theater of the Absurd. Write an essay that defines those principles and explains how you feel about them and the art they create. 4. The Theater of the Absurd developed starting in the late 1940s. What was going on in the world at that time that might lead to this view of life? Write an essay analyzing world events and how they might have influenced this movement. Dobrez, Livio A. C. The Existential and Its Exits: Literary and Philosophical Perspectives on the Works of Beckett, Ionesco, Genet, and Pinter. London: Athlone, 1986. Esslin, Martin. The Theatre of the Absurd. New York: Doubleday, 1968. Gaensbauer, Deborah B. The French Theatre of the Absurd. Boston: Twayne, 1991. Lamont, Rosette C., and Melvin J. Friedman. The Two Faces of Ionesco. Troy, N.Y.: Whitston, 1978. Lane, Nancy. Understanding Eugene Ionesco. Columbia: University of South Carolina Press, 1994. Wellwarth, George E. The Theatre of Protest and Paradox: Developments in the Avant-Garde Drama. New York: New York University Press, 1971. Wulbern, J. H. Brecht and Ionesco: Commitment in Context. Carbondale: University of Southern Illinois Press, 1971. Karampetsos, E. D. ‘‘Ionesco and the Journey of the Shaman.’’ Journal of Evolutionary Psychology 4 (April 1983): 64-77.